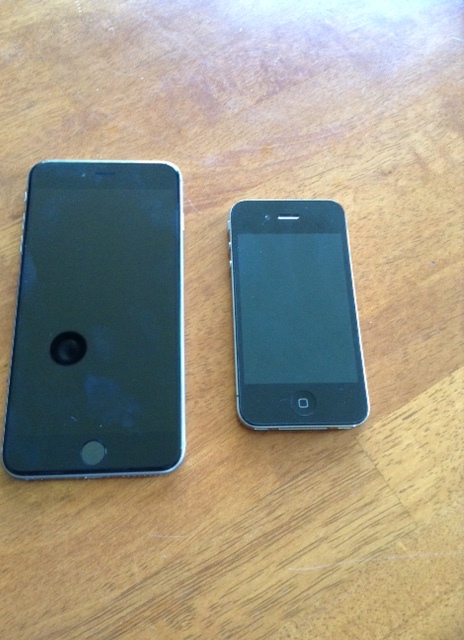 I have been dithering for sometime over whether to upgrade my old iPhone 4 for a shiny new iPhone 6. The problem wasn’t whether I wanted one, or the cost, but which one size to go with? I had some concerns about the size of the iPhone 6 plus. Some women had complaints about the shear size of the device being simply too big and requiring two hands to operate. I was more concerned about fitting it into my pocket of my jeans (seriously). I even did a pocket test on a both iPhone 6 models belonging to my workmates. So I had finally settled on getting the iPhone 6. Only to have another workmate mention he had a brand new, still in box iPhone 6 plus for sale. So the iPhone 6 plus it is.